Status card questions? Membership requirement questions? Contact the Membership Registrar between 8:30 and 4:30 on Wednesdays – in person only. Please call ahead to check availability. The Nuu-chah-nulth Economic Development Corporation (NEDC), in partnerships with the Business Equity Program (B.E.P.) and Aboriginal Business Canada (ABC), delivers the ABC Program to Vancouver Island clients. To be the communication source for all Nuu chah nulth First Nations; Ha-Shilth-Sa covers the events and issues happening throughout Nuu chah nulth aht, and reports in a fair, accurate, balanced and culturally sensitive manner. 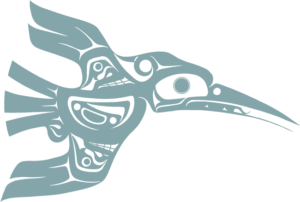 Covering the West Coast of Vancouver Island from a distinctly Nuu chah nulth perspective, Ha-Shilth-Sa publishes articles monthly on the events and issues that affect all Nuu-chah-nulth. Please note that as of March 2012 there is no application available for Student School Supplies. Please review the list below and click to download further details on the job that interests you. Jobs will be updated as they come available and are filled. There are no career opportunities available right now. Please check back again.